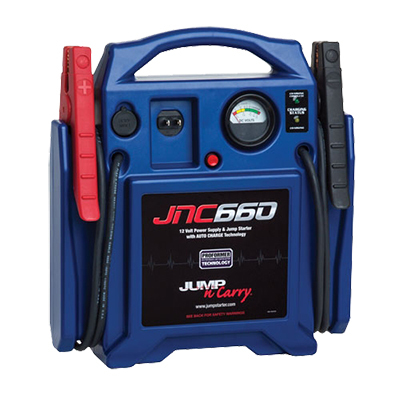 JNC660 delivers 1700 Peak Amps and 425 Cranking Amps of starting power. 46" #2 AWG welding cable leads, Industrial grade clamps, built-in charger, automatic charging. Voltmeter provides charge status of onboard battery, 12VDC outlet to power accessories. 1 year limited warranty.